Editor’s note: This investigative report addresses complicated disclosures, so we’ve supplemented it below with a timeline of key events and copies of all of the documents cited here. MURPHY — In Cherokee County, much of the current news is focused around a triumphant high school football program, a casino that’s slated to open in 2015 and the hotly debated prospect of fracking in the mountains. But the county is also ground zero for a law enforcement scandal that has simmered for years, and now, new details have surfaced about investigations of property and evidence seized by two regional narcotics task forces. Cherokee County deputies played key roles in a drug task forces that mismanaged seized money and guns, according to a patchwork of public records, some of which became available only recently. Documents recently obtained by Carolina Public Press and published for the first time below raise a maze of questions about potential law breaking by officers, despite an extensive state investigation that ultimately led to no charges. The latest revelations and disputed allegations come amid a heated race for county sheriff and highlight challenges to law enforcement’s ability to investigate its own. At issue are the history and future of 31 guns and more than $30,000 in cash that the two task forces, which operated during different periods of the 1990s and 2000s, seized in various parts of Western North Carolina. The items are currently in the custody of the Cherokee County Sheriff’s Office, where Sheriff Keith Lovin is seeking to get rid of them through proper procedures, he recently asserted in documents and in an interview with CPP. In papers Lovin filed this summer in superior court, he sought a judge’s permission to dispose of the money and firearms and outlined their troubled trail thus far. Meanwhile, Lovin is facing an electoral challenge by one of his former deputies, Derrick Palmer, an ex-task force member who said that some of Lovin’s assertions are both inaccurate and politically motivated. Lovin said he’s telling the truth and just doing his job. The new documents, along with previous disclosures by the State Bureau of Investigation, offer a rare window into a series of cases where officers might have mismanaged crucial items they were tasked with maintaining in their roles in ensuring justice. The records point to a persistent problem for law enforcement agencies in North Carolina, where seized property and evidence have periodically fallen prey to theft and mismanagement. In papers filed this summer, Sheriff Keith Lovin said that several former deputies mishandled evidence, including Derrick Palmer, who is running against Lovin in November’s election. In Western North Carolina, for example, the Asheville Police Department’s former evidence manager, Lee Smith, was recently sentenced on federal charges of stealing drugs. And a former Buncombe County sheriff, Bobby Medford, is in federal prison after he was convicted in 2008 for running an extortion ring, built around illegal video gambling, that also pilfered guns and money from his department’s evidence room. The task forces that snared Cherokee County into controversy were manned with varying mixes of personnel from sheriff’s offices in Clay, Cherokee, Graham and Macon counties, along with the State Bureau of Investigation and the U.S. Attorney’s Office. Cherokee County deputies commanded the task forces during key stretches. Lovin and others have praised the arrangement for fostering cooperation among local law agencies, but he told CPP that the shifting personnel, headquarters and funding streams sometimes posed significant administrative challenges. After the last task force shut down in 2010, the state Attorney General’s office, through the SBI, launched an investigation of it and its predecessors’ operations. Shortly thereafter, Lovin started a separate, internal investigation. The SBI investigation was prompted by a request from District Attorney Mike Bonfoey, who confirmed to CPP last week that he asked for the probe. He would not, however, say what led him to request it. Few details about the investigations by Lovin and the SBI, which lasted for about three years and ended in 2013, have been published before. The SBI’s investigative reports are almost never released to the public, but in this case, some substantial information has already surfaced. And affidavits recently submitted by Lovin hint at the extent of his office’s internal investigation. While most of the seized items became alleged crime evidence some time ago — including instances before Lovin was sheriff — the matter still might impact his re-election bid this November. 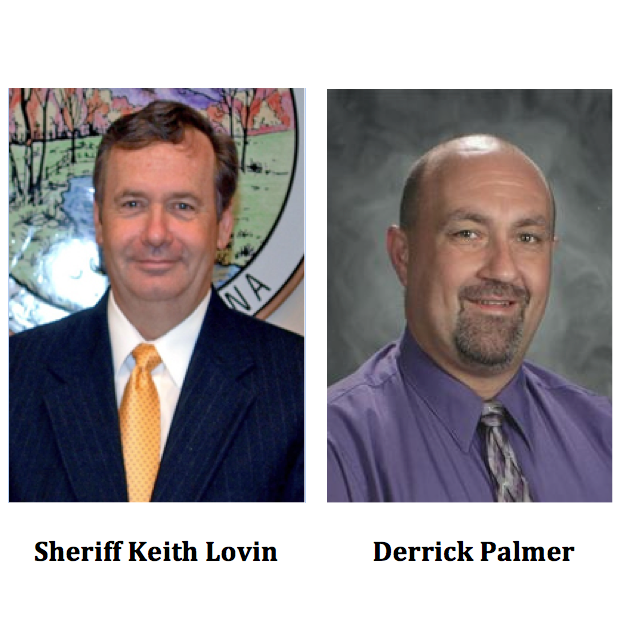 Lovin, a Democrat who has been sheriff since December 2002, will be challenged by Palmer, a Republican and former Cherokee County deputy who also commanded one of the task forces and presently serves as assistant chief of the county’s school resource officers. Depending on whom you ask, in seeking to offload the remaining guns and money seized by the task forces, Lovin is cleaning house, playing politics or some combination of the two. And whatever the outcomes of the ongoing dispute over his former employees’ conduct and his re-election bid, his recent court filings will likely play a part. A few months after the SBI launched its investigation in September 2010, Lovin started one of his own, he said in one of his new affidavits. The internal review was directed to determine “the loss, misappropriation, or mishandling of evidence, particularly firearms,” Lovin said. In March 2011, the deputy leading that investigation learned that one of the former task force members, former Deputy Dustin Smith, had held onto 21 seized guns, according to Lovin. Once the SBI probe began, however, someone placed those guns in the sheriff’s office evidence storage using “either covert or unlawful means,” Lovin asserted. 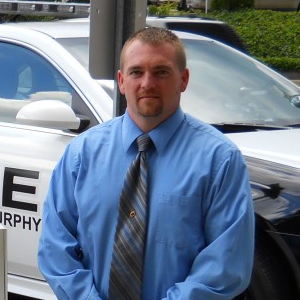 Smith, who is now the assistant chief of the Murphy Police Department, declined to discuss the allegations in a brief interview this week. “I don’t even want to comment on it,” he said. Lovin “is just trying to do some political stuff,” Smith added. According to Lovin, one of his former deputies, Dustin Smith, held onto 21 guns seized by the task force. After the SBI investigation started, Lovin says, someone surreptitiously put those guns in the sheriff’s evidence storage. Smith, who is now assistant chief of the Murphy Police Department, declined to comment, other than saying this is “political stuff” advanced by Lovin. According to Lovin, another former Cherokee County deputy, Rocky Burrell, held onto a seized handgun, while another, Palmer, kept four seized long guns. Both Burrell and Palmer surrendered those weapons to the SBI in early 2011 and told investigators that they were given permission, by a former task force commander, to keep the guns as long as they were employed with the unit, according to one of Lovin’s affidavits. Burrell took a polygraph test, and showed no signs of deception, according to Lovin. As for Palmer, he “failed to show at the prearranged date and time [for the polygraph] and instead faxed a letter of resignation to the Sheriff’s Office,” Lovin alleged in an affidavit. In the statement, Palmer added that he has retained all of his law enforcement credentials and certifications, and that since October 2013 he has served as assistant chief of Cherokee County’s school resource officers. He also said that Lovin breached several protocols in the way he filed the recent affidavits. Palmer’s full statement can be read below. Lovin disputed that in comments to CPP this week. He wasn’t able to begin the process of disposing of the items until the SBI completed its investigation last year, he said, and the process has involved lengthy research and consultation about the matter with the county attorney and the district attorney’s office. “I would have loved to have had it resolved years ago,” he said. “Did this come up during an election? Yes. But I can’t stop being the sheriff because there’s an election going on.” Lovin also said that he stands by the accounts he gave in his recent affidavits. All of the weapons collected by the SBI were returned to the sheriff’s office custody in October 2012. Lovin is presently seeking a judge’s permission to dispose of a total of 31 guns. Lovin also wants to dispose of money that one of the task forces seized in a 1997 raid on a father-son team of drug dealers in Cherokee County. Officers confiscated $30,600 in cash that was stashed in a purse in the suspects’ attic and placed it in a safe deposit box in a Hayesville bank. Under a plea agreement worked out the next year, the father was to surrender the money to the federal government, but he committed suicide prior to his final court appearance. After that development, the cash purportedly remained in the safe deposit box for the next 13 years. For most of those years, the task force was commanded by Tom Frye, a former SBI drug investigator who was a Cherokee County deputy. Frye later “claimed to have forgotten about” the seized money, according to the SBI, and said he was only reminded of it when he got a bill from the bank for maintaining the safe deposit box. Six months later, in December 2010 — after the SBI had launched its investigation — Frye obtained a cashier’s check in the amount of the seized cash and told Lovin’s administrative assistant to deposit it in the sheriff’s trust account, which she did. Such accounts are present in every North Carolina county and are used for storing public funds overseen by sheriff’s offices. In January 2011, the SBI began interviewing Frye about his handling of the money. Soon thereafter, Lovin said, Frye informed him about the money he’d transferred to the trust account. In April, Lovin fired Frye, who by then was his chief deputy. According to SBI records, a search of the old task force’s safe deposit box the following month revealed that another $1,833 in seized cash was still in the box. In August 2012, SBI Special Agent Kevin Snead filed a request for a search warrant, which was approved, to obtain access to some of Frye’s bank records. In an affidavit that accompanied the request, Snead said that Frye had “unlawfully removed cash” from the task force’s safe deposit box. In addition, Snead added, much of the cash Frye used to purchase the cashier’s check was in currency printed years after the 1997 raid. Contacted by CPP this week, Frye, who is retired, refused to comment on most aspects of the case. “The only thing I’ll say on the record is that the SBI done their investigation and they completed the investigation and found that there’s no charges warranted,” he said. That was the last major development in this story until Lovin filed papers this summer to dispose of the seized evidence. The guns will likely be destroyed and/or auctioned off, Lovin told CPP. And in his recent court filing, he proposed that either the state court system or the Eastern Band of Cherokee’s Tribal Court take control of the more than $30,000 in seized cash, and that the $1,833 found in the safety deposit box be given “to the proper recipients in accordance with” state law. The spokesperson for the Attorney General’s Office, Noelle Talley, told CPP Monday that the office would prepare a statement about the outcome of the investigation, but at press time, it had not yet been provided. Jon Elliston is the lead contributing open government reporter at Carolina Public Press. Contact him at jelliston@carolinapublicpress.org.